Sometimes, we really do fail to realize how many gifts Mother Nature is leaving right in front of us, or to be more specific, right in our backyards. For instance, if you are seriously considering starting a garden in your backyard or just want to reduce the amount of organic waste you pile up, you should learn more about how to compost leaves. When you make the effort to compost leaves, you are essentially turning nature’s debris into a material that can be extremely useful in a garden because of how beneficial it is to plants. Introducing compost to different types of soil will lead to varied benefits being brought out. It’s not an exaggeration to say that composting is one of the keys to better gardening. So, how can you start composting leaves in your own home? What kind of materials do you even need to get started? What’s the process going to be like? These are the questions that we will be answering in this article. 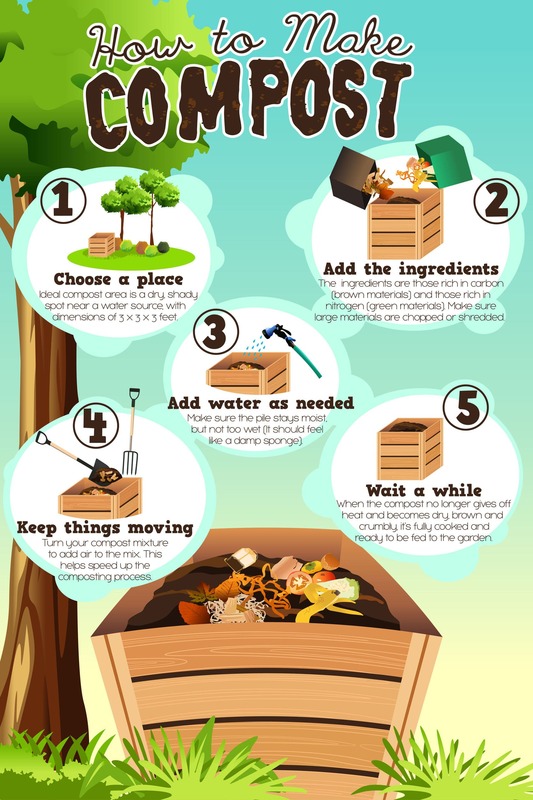 By the end of reading this, you should have all the knowledge you will need to start a good compost pile in your own home that will help immensely with gardening and just waste reduction in general. Wooden pallets – It would be best if you could gather wooden pallets to use because they will cut down significantly on your prep time for bin creation. If you’re lucky and find ones of equal size, you won’t even need to cut them. Alternative: Wooden boards can also be used for the compost bin, but they will take more time to put together. Screws- You are going to have to attach the wooden pallets/boards yourself, and the screws are the best tool for that. Don’t be stingy when it comes to the screws. Go to the hardware store and grab way more than you think you will need as it’s always better to have extra than to have to go back just to get more. Screwdriver- Obviously, this is what you will need to get the screws properly driven into the wood. Try to look for one with a comfortable handle because you will be using this tool a lot. Drill – This is what you need to use for creating the holes that the screws will go into. Hinges – The hinges aren’t essential to the compost bin we’ll be creating per se, but if you do want more convenient access to it, these should be included in your shopping list. If you do want to omit the hinges, you can just make the compost bin a little shorter so that it’s easier to access. Metal latches – These will only be needed if you are going to create a door for your compost bin. Otherwise, feel free to omit them from your shopping list too. Saw – A hand saw will suffice because the wooden pallets/boards are the only things that will need to be cut. Chicken wire – The chicken wire will be useful for ensuring that the compost material will stay in the bin. You can get by without the wire, but you may have to clean up messes in your yard every now and then. Alternative: Netting can work if you can’t find chicken wire right away. Plastic netting is an option here but does try to find sheets with tiny holes if possible. Hammer – It’s best to hammer the chicken wire/netting into the wood to make sure that it’s not blown away by the wind. Nails – These are your best bet for holding down the chicken wire/netting. Tarp – According to the EPA, using a tarp to cover up your compost will help keep it moist. Leaf vacuum – If you’re serious about turning leaves into compost, you will need a good gathering tool. A leaf vacuum will be more than worth the investment as it will significantly cut down on the time you have to spend rounding up the leaves. A vacuum cleaner can also be used. Alternative: Leaf blowers can also be used for pushing the leaves into piles, but they are trickier to use. Alternative: Rakes should only be used if something is wrong with your leaf vacuum or leaf blower or if you’re only eyeing the creation of small compost heaps. 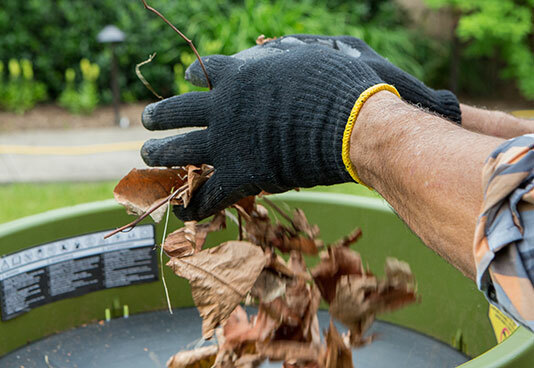 Leaf shredder – The leaves that you intend to add to your compost can’t just be added whole especially if they’re on the larger side. A leaf shredder will help you process leaves faster and that, in turn, will lead to the quicker growth of your compost heap. Alternative: Lawnmowers work fine for processing the leaves and getting them to the ideal size, though it may take more time to use them. Alternative: Leaf claws will help you gather and process leaves at the same time, but their downside is that they can’t work as fast as the other tools mentioned above. Shovel – This is something you need for moving the compost. It will make transporting the compost to the plants you are trying to grow much easier. 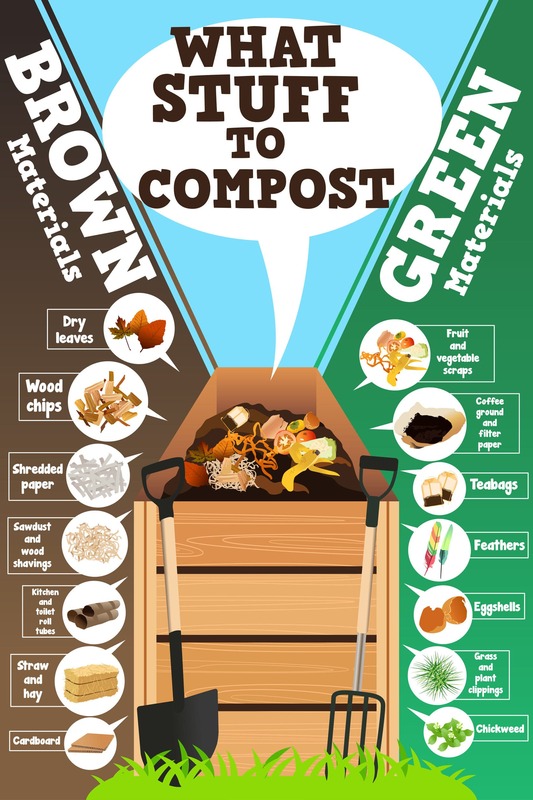 Now, that you are aware of all the materials you need to have for composting leaves, let’s get to the step-by-step guide for starting and completing the process. This is going to be the most labor-intensive part of the process, but you should be able to finish it in a few hours if you have the right materials. Start by positioning the wooden pallets in such a way that they form a box shape. Join them together by using the drill, screws, screwdriver, and the corner brackets. 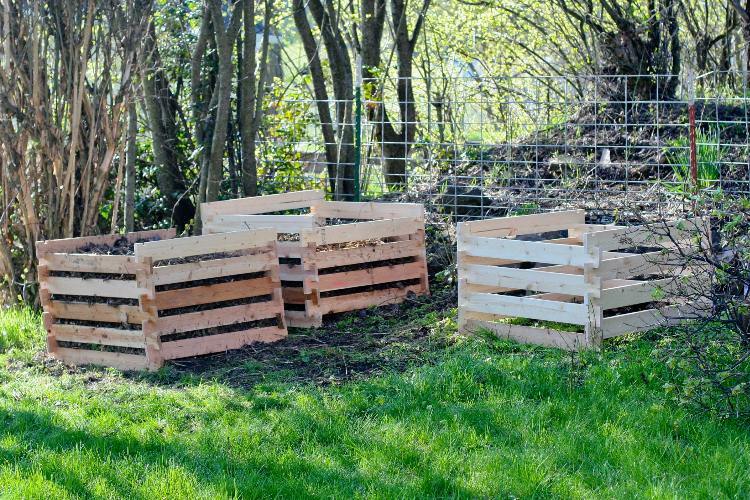 If you intend to create a door for your compost bin, you can cut one of the wooden pallets in half with a saw, and then position the two now smaller segments of the pallet in one side of the frame. You want them to work like stable doors, as shown here in this video from GrowVeg. The metal latches and hinges can be added to the doors to complete them. Additional brackets can be installed at the corners of the compost to make it sturdier. Cover the walls of the compost bin in chicken wire and hold them in place using the hammer and nails. You can also install the tarp over the compost bin as a finishing touch. The next thing you need to do is to find a good spot for the compost bin you have just constructed. This is much easier to do, but it’s still a step you have to pay close attention to because the quality of the compost heap may be adversely affected if it is not placed in an ideal location. The EPA recommends finding a spot in your yard that is dry and shady, but also near a water source of some kind. You want to have a water source nearby because you will need that to properly maintain the compost heap. Remember to keep the pile on the soil, however. According to this video from composting home, the main reason you want the pile to be in contact with the soil is that you want the soil to drain away any liquid that comes from the compost. It is now time for you to start gathering the actual materials that will be placed inside your compost bin, and for the most part, you will be dealing with leaves. You can complete the gathering process using a variety of tools. Check out this video from This Old House to see the different tools that can be used for the process of gathering all the leaves that have been scattered across your yard. Leaf vacuums are arguably going to be the most efficient gathering aids at your disposal, and if you can get your hands on one, that would be ideal. Leaf blowers are also nice to have on hand, but pick out a spot in your yard first and push all the leaves to that spot to keep things organized. If you don’t have any of the tools above, rakes will still be useful for gathering, but you’ll need more time and energy for them. Do you want to know how to compost leaves quickly? The secret lies in getting them as small as possible, and you can achieve that with an assist from certain tools. The optimal tool for processing leaves that will be used for the compost heap is a leaf shredder. This video posted by YouTube user Matthew Randall shows how efficiently the aforementioned item can go through a huge pile of leaves. Alternatively, a lawn mower can also be the tool used for leaf processing. Spread the leaves over a patch of your yard and get to work by chopping them up. If for some reason, you don’t have either a leaf shredder or a lawnmower, tools known as leaf claws can also get the leaves to the desired size, but the process will take way longer. You should now know how to make compost faster, but finding an exact answer for the question, “how long does it take to compost leaves,” is still hard to do because there are so many factors to consider. If you want to learn how to make leaf compost properly, you must first be able to identify the best leaves for compost. According to an article posted on The-Compost-Gardener.com, the leaves considered “good” for composting feature high calcium and nitrogen, but low lignin. Examples of specific leaves you want for your compost include the ones from cherry, elm, and maple trees. These are considered “good” composting leaves because they generally take about a year to be broken down. Examples of “bad” leaves for composting are said to come from birch, oak, and sweet chestnut trees. These are thought of as “bad” composting leaves because they can take multiple years to be broken down properly. You are also advised to keep leaves that come from eucalyptus and black walnut trees out of your compost pile because they carry natural herbicides. You can now turn your attention to maintaining the compost pile, and to do this, you will want to gather more leaves, as well as “brown” and “green” materials. The EPA notes that the “brown” materials that should be used for composting aside from the leaves include branches and twigs. Meanwhile, the “green” materials you want are grass trimmings, remnants of fruits and vegetables, as well as coffee grounds. Balance the amount of “brown” and “green” materials in your compost pile, and add some water to speed up the process of breaking those items down. You are also advised to turn the compost pile after every month or so. Use the compost for your garden as well. The answer to the question, “is leaf compost good for vegetable gardens” is a definite yes, but Gardening Know How reminds you to use the material together with soil to get the desired effect. Just make sure not to forget to tend to your compost heap, and you should have a material that will help you grow plants in your garden for a long time. 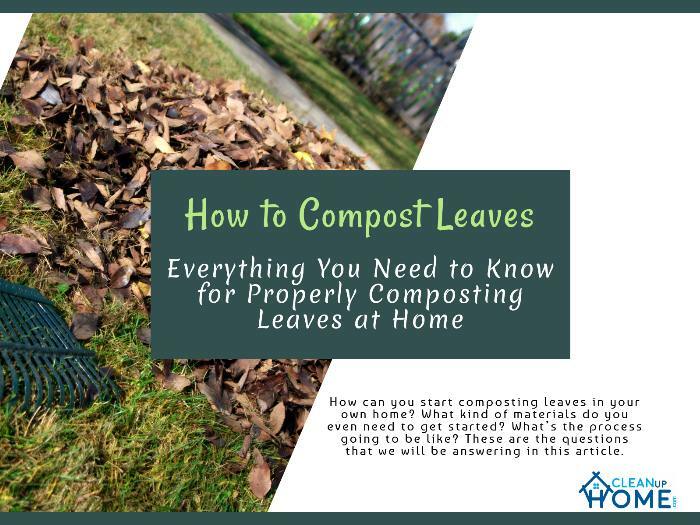 We hope that this article has helped you figure out how to compost the leaves in your yard, and how you can manage to do that by yourself. Composting is a good habit for you to practice long-term because it gives you access to valuable material that can lead to the growth of better plants. On top of that, you are also making good use of organic materials that would have just been thrown away otherwise. If you enjoyed this article, please feel free to share it with your friends and family members who are also considering getting into composting.